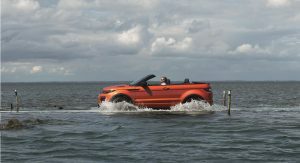 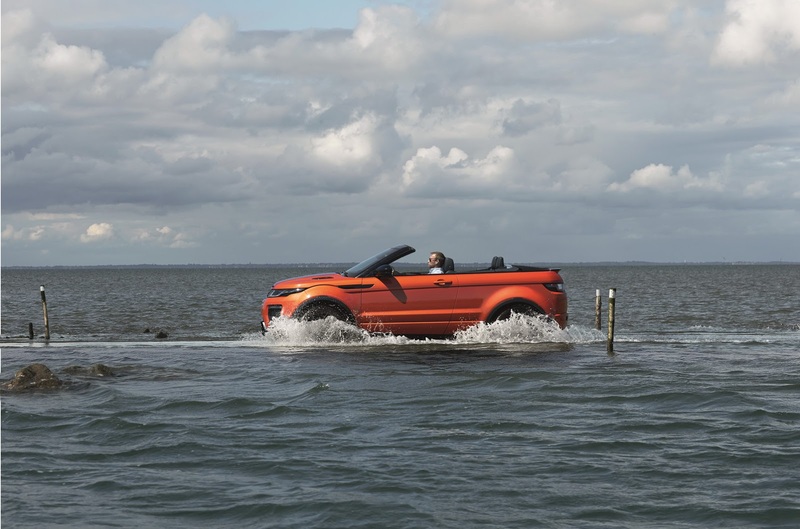 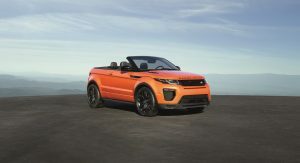 Land Rover seems to think it can succeed where others have failed and has presented a convertible version of their Range Rover Evoque. 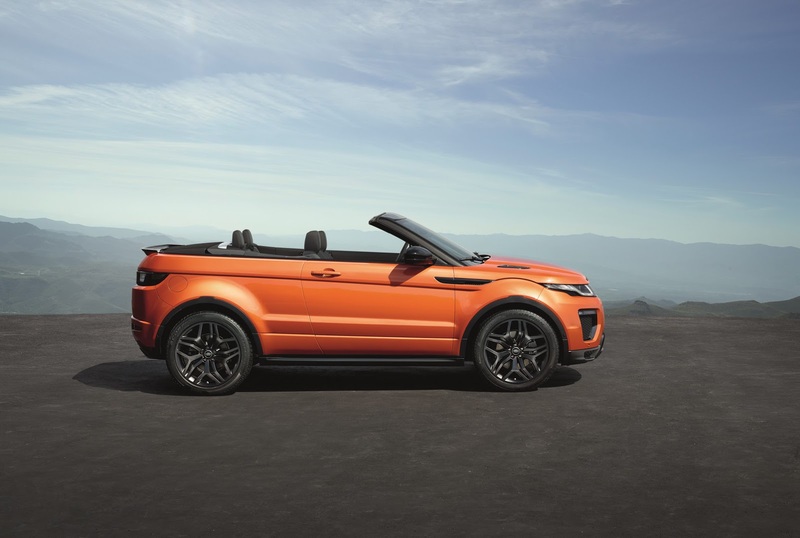 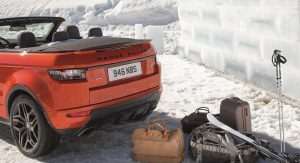 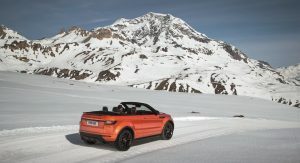 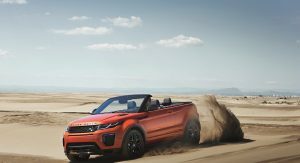 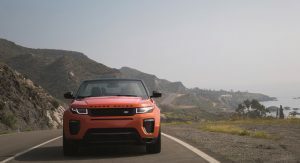 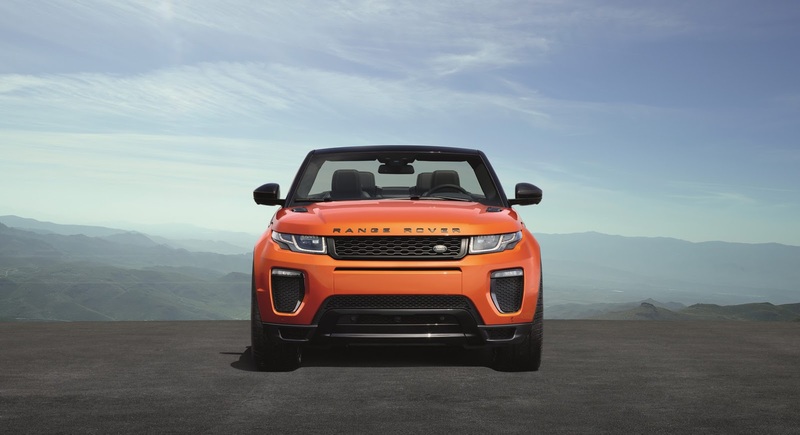 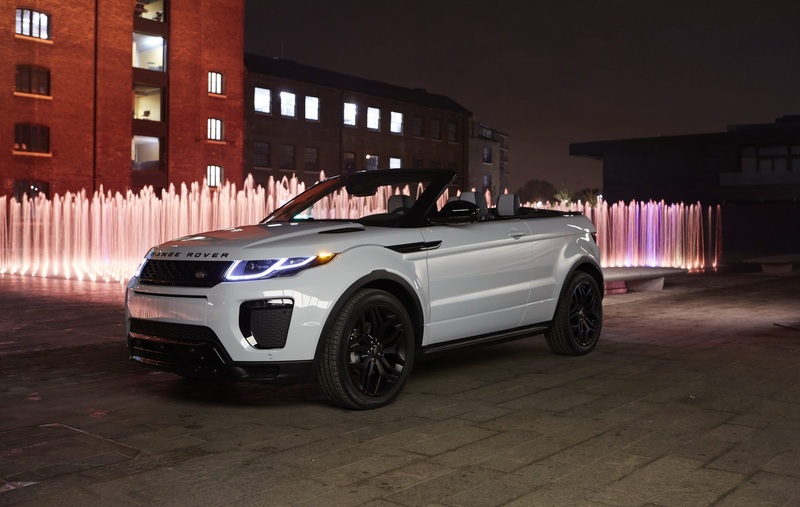 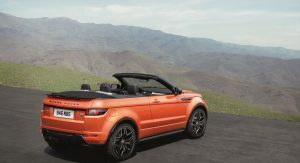 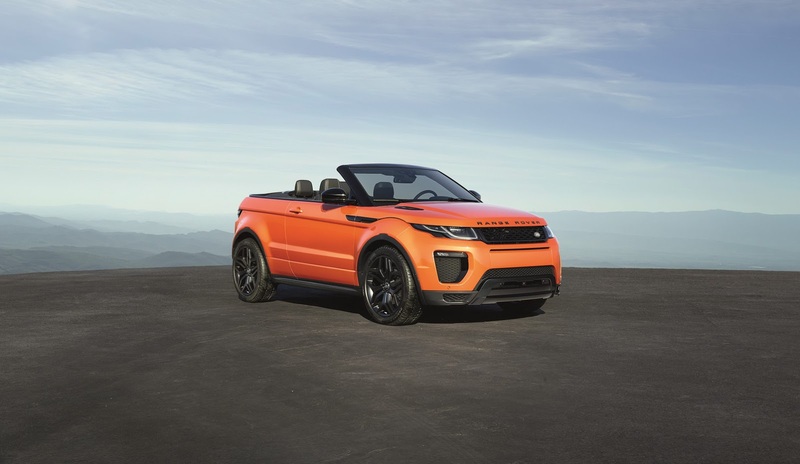 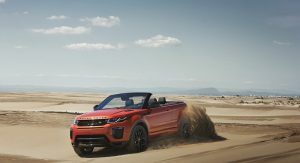 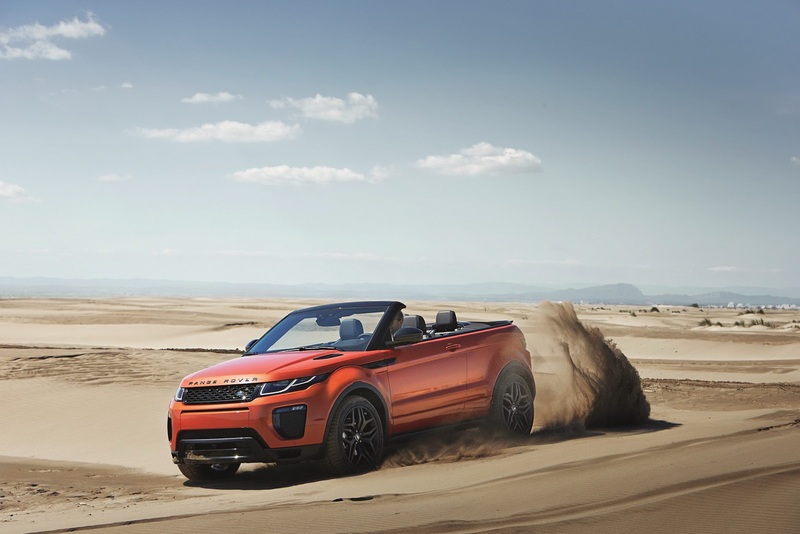 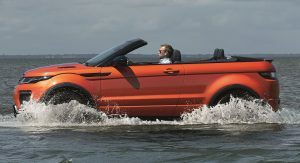 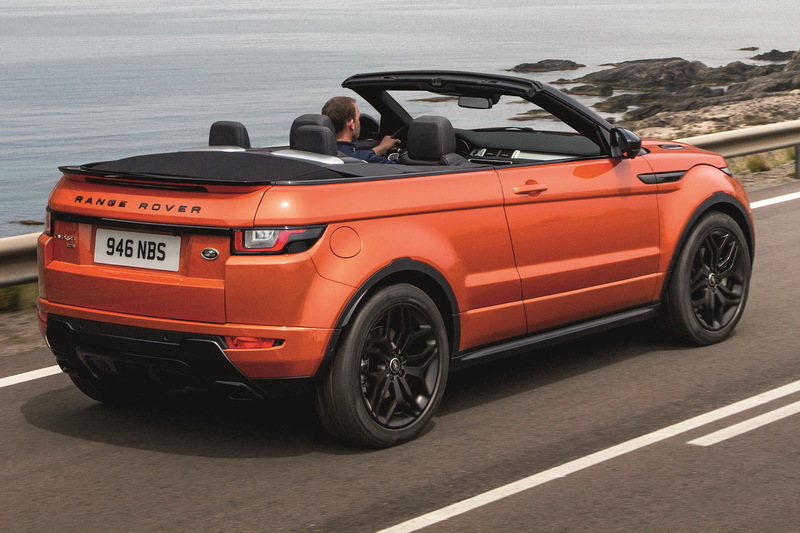 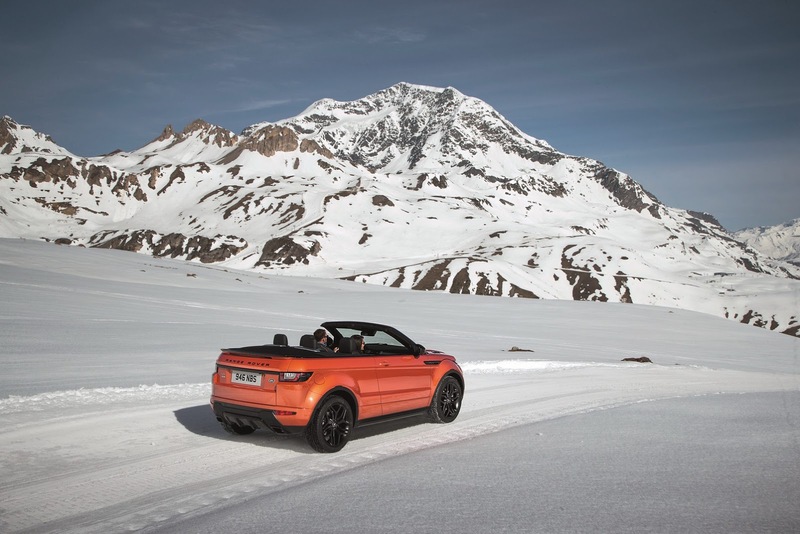 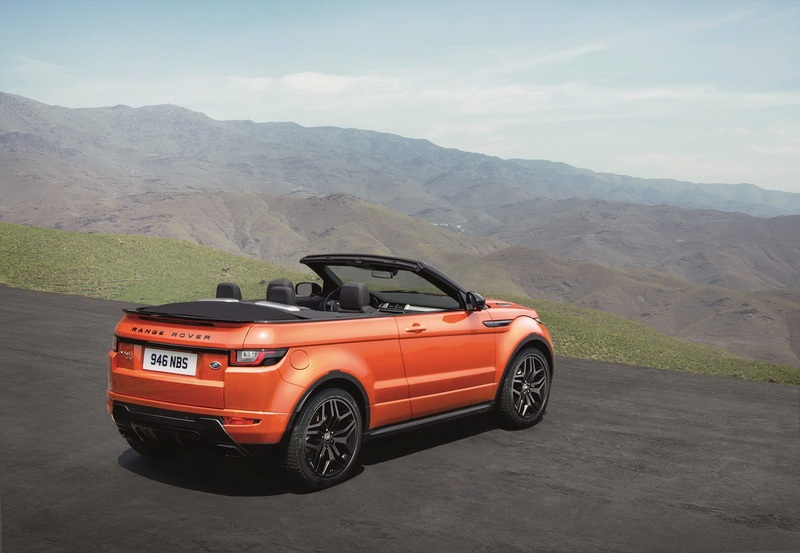 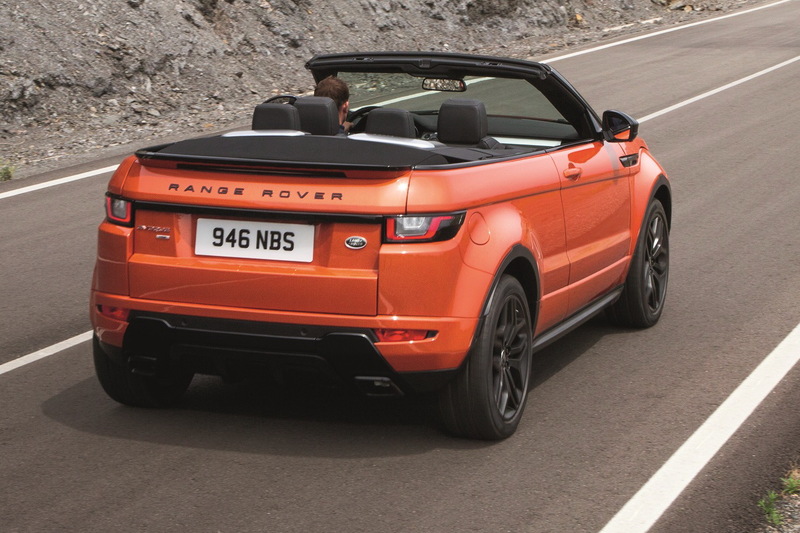 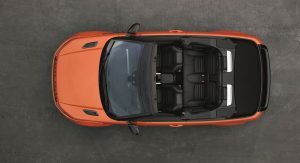 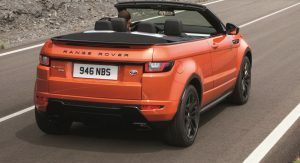 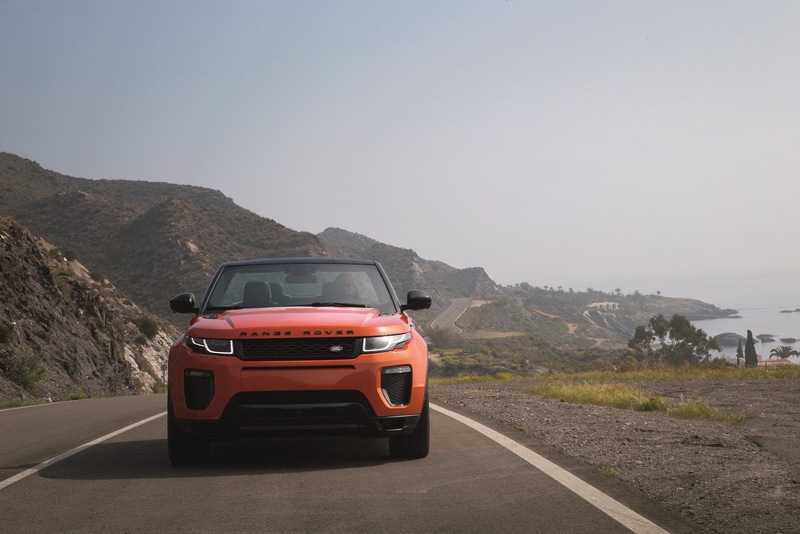 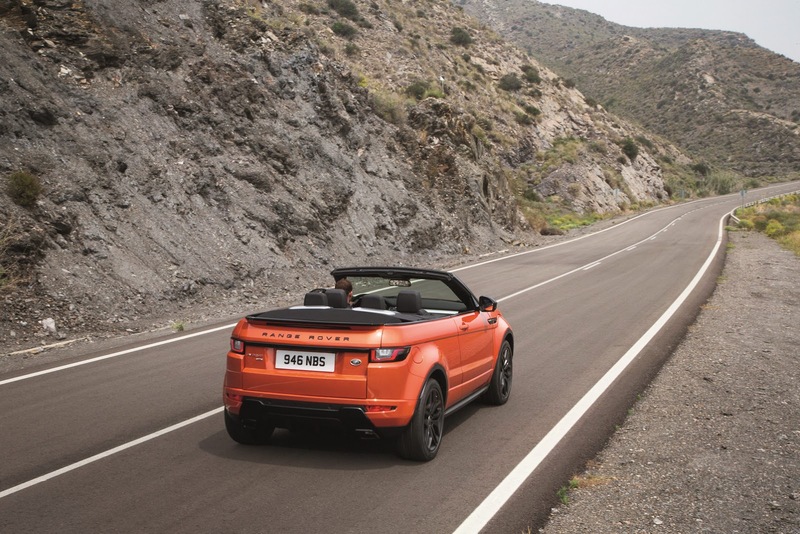 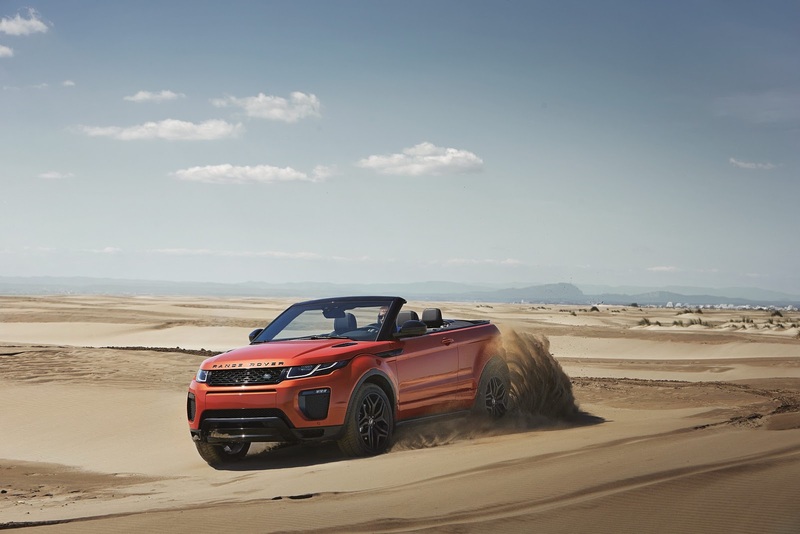 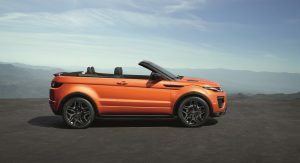 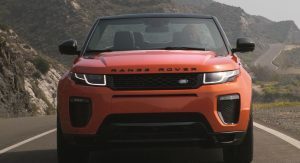 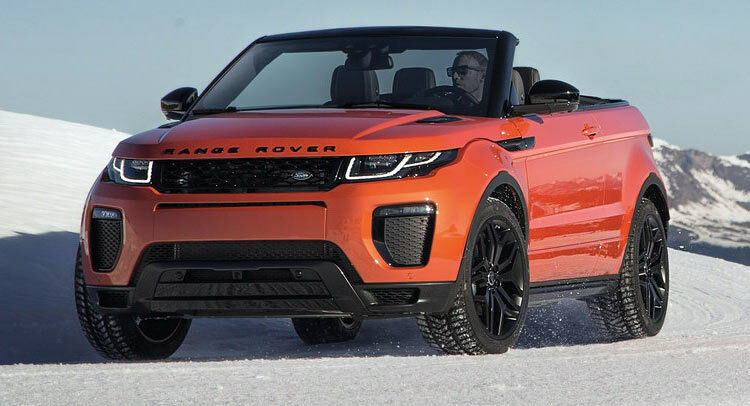 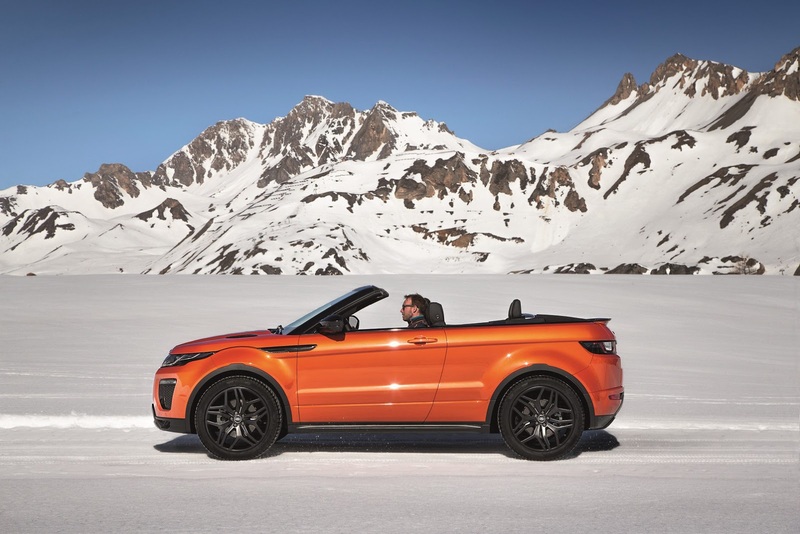 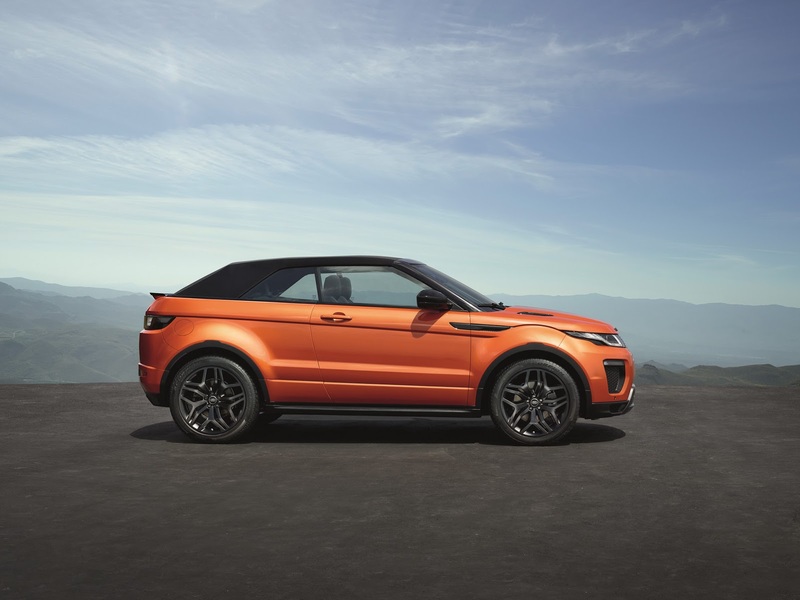 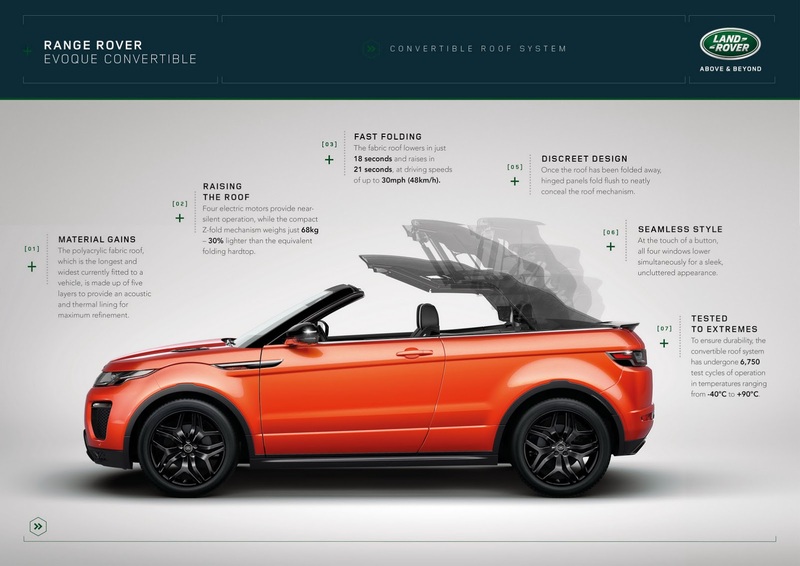 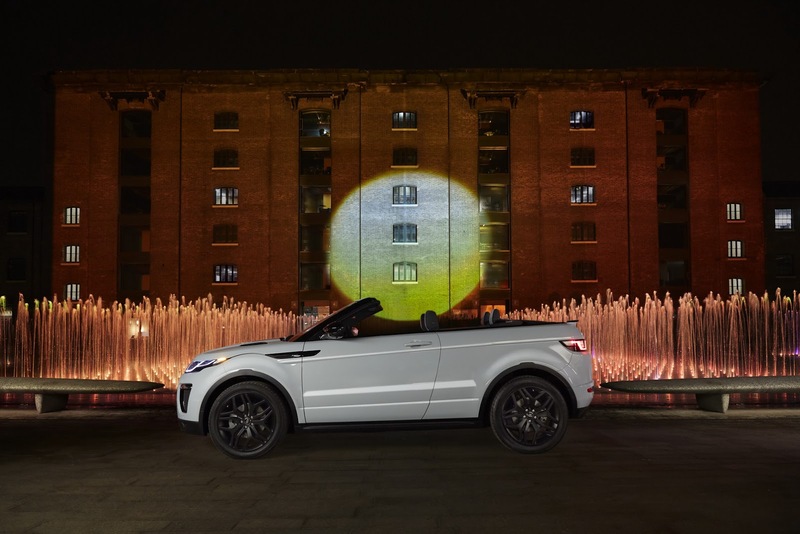 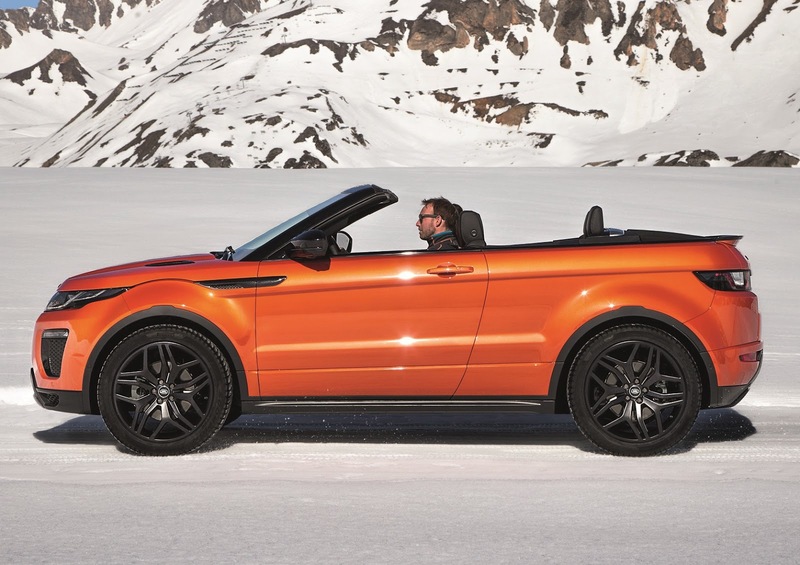 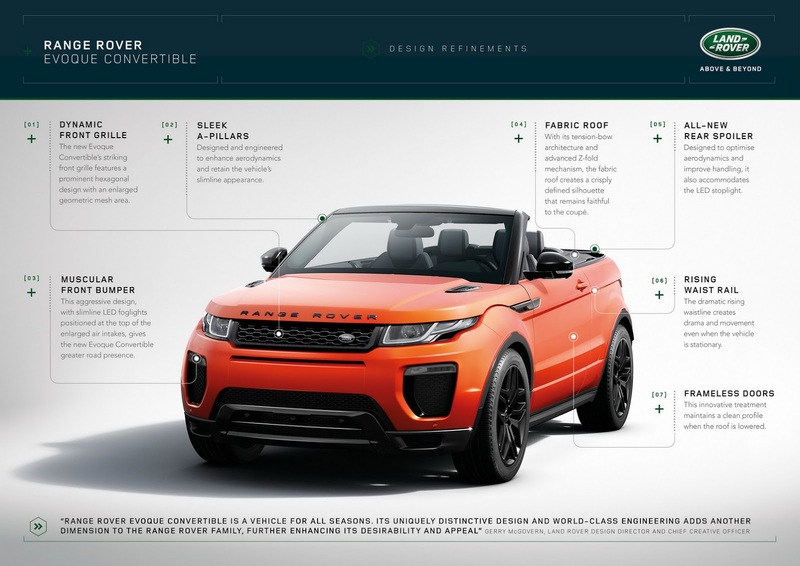 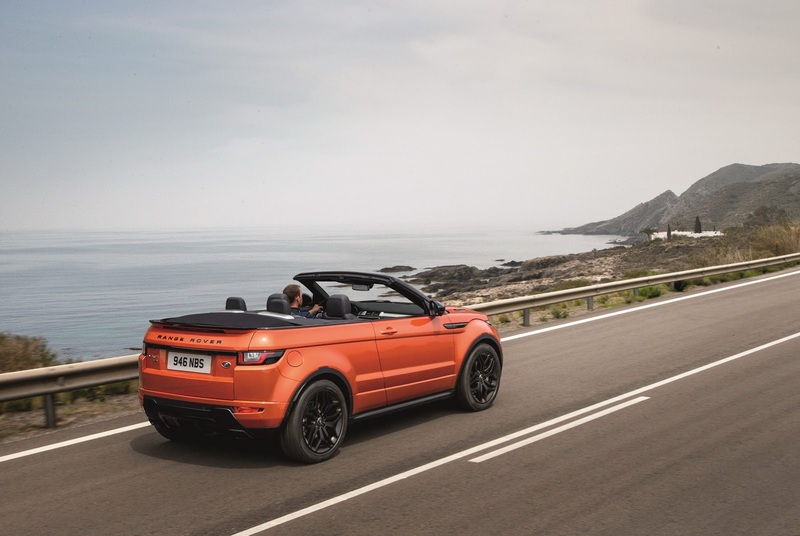 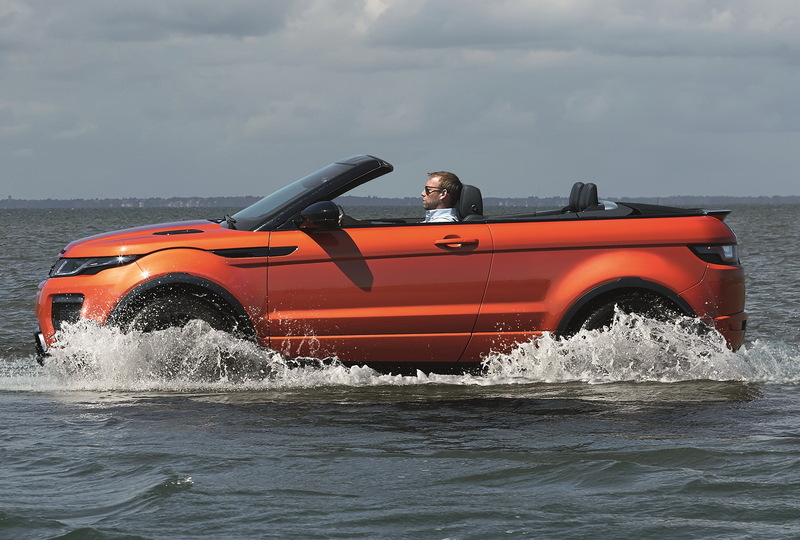 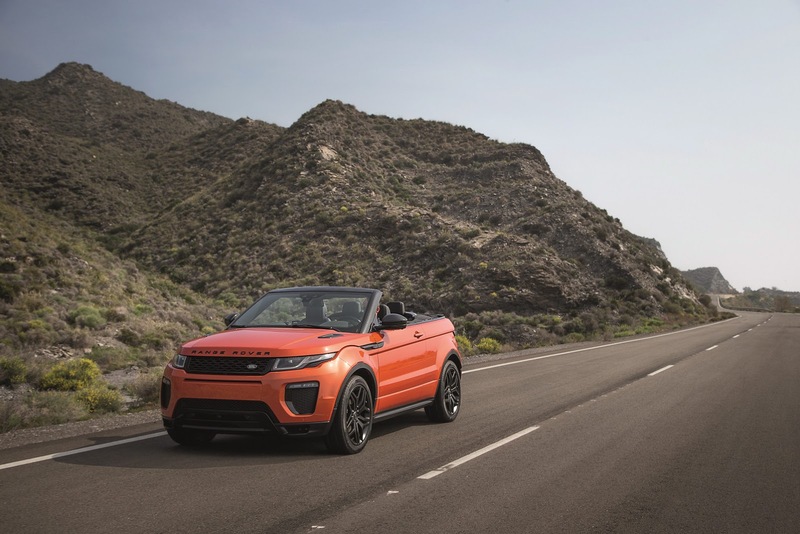 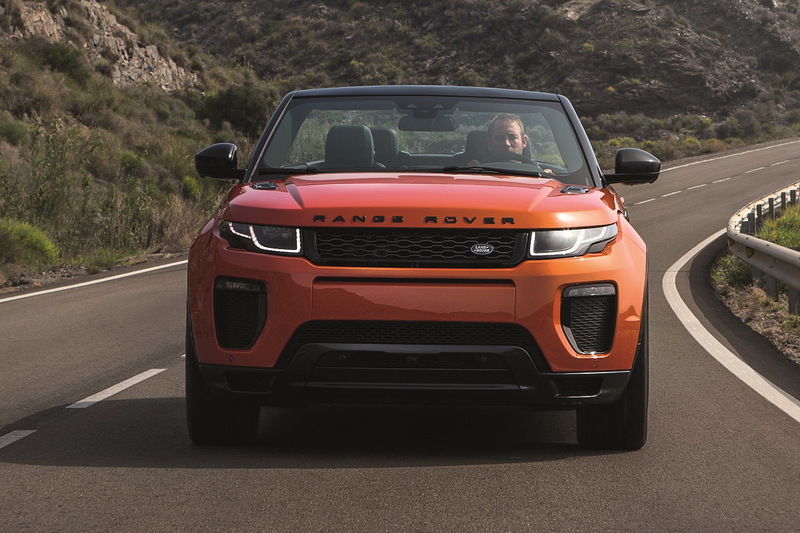 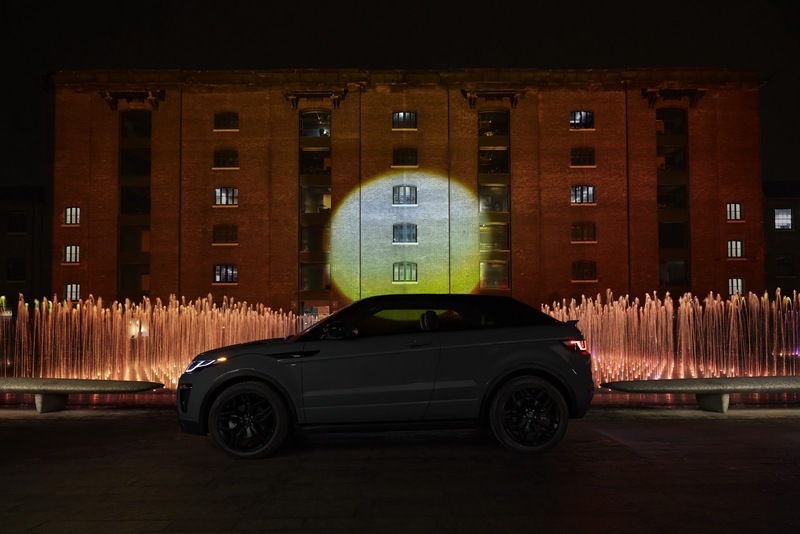 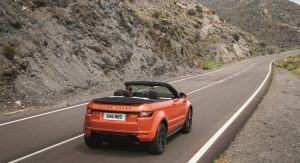 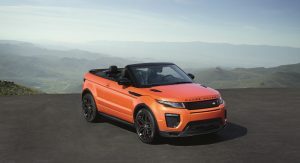 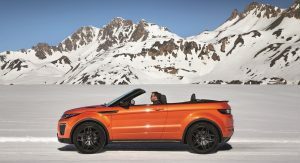 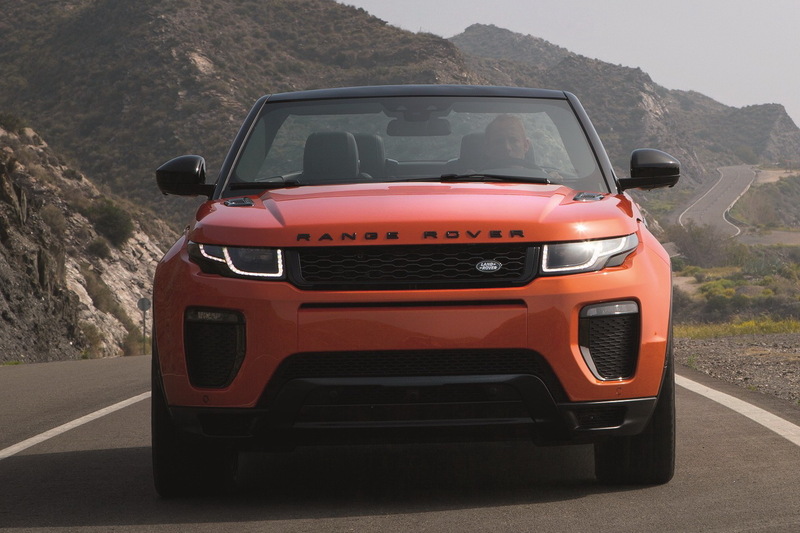 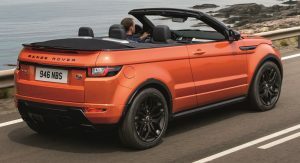 Billed as the “World’s first luxury compact SUV convertible”, the Range Rover Evoque Convertible comes to the spotlight roughly a year after Nissan’s awkward attempt at creating a drop top SUV, the unloved CrossCabriolet, was quietly put to rest. 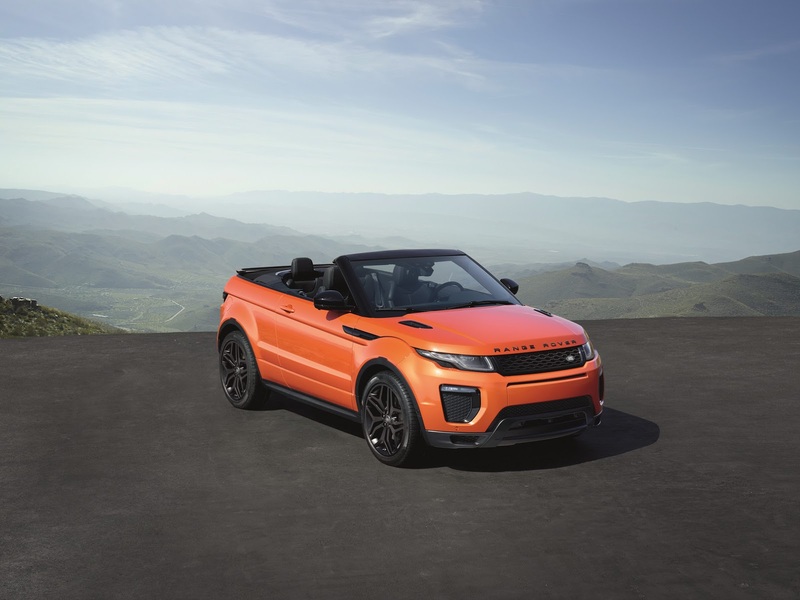 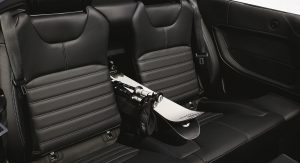 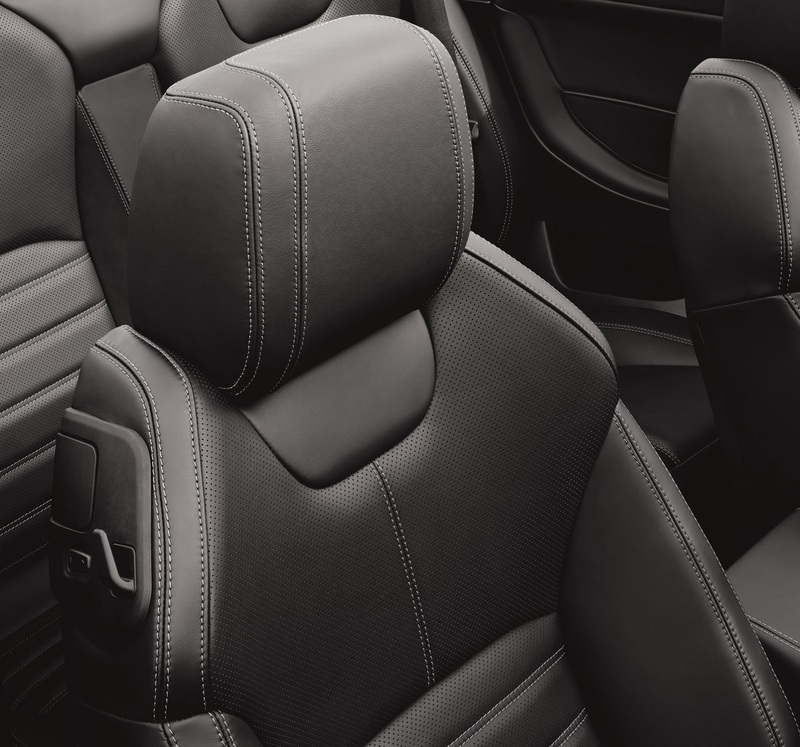 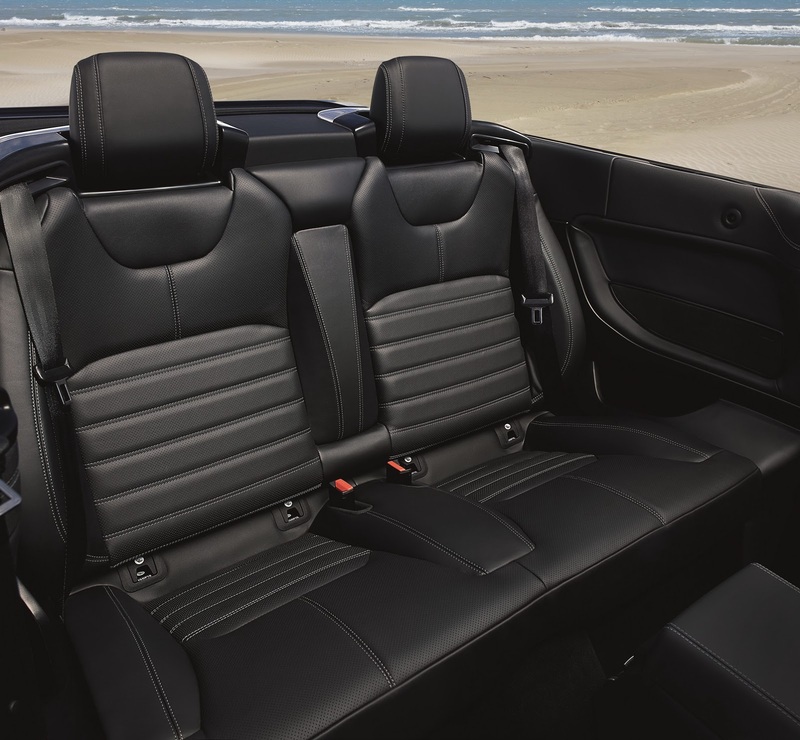 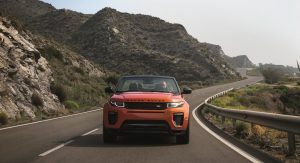 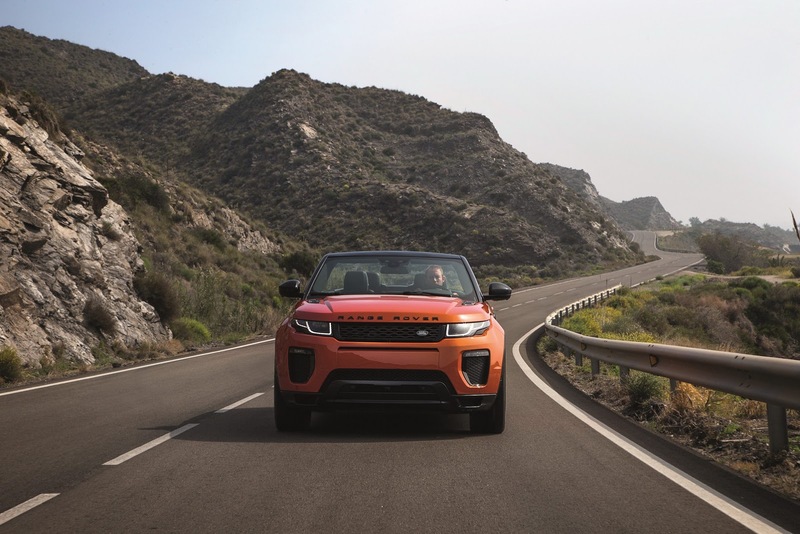 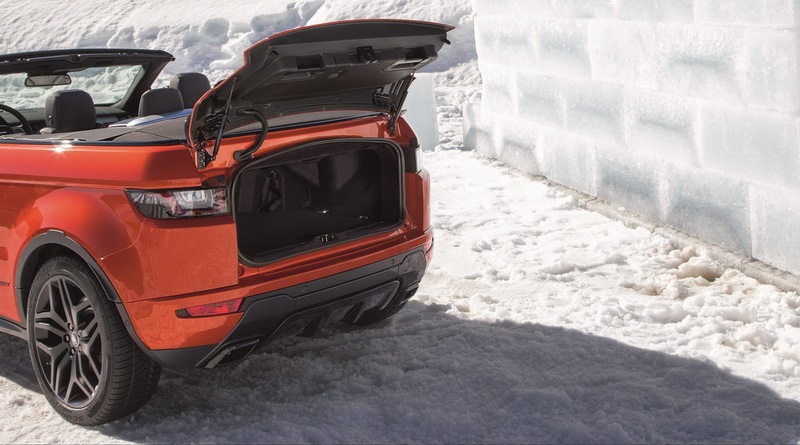 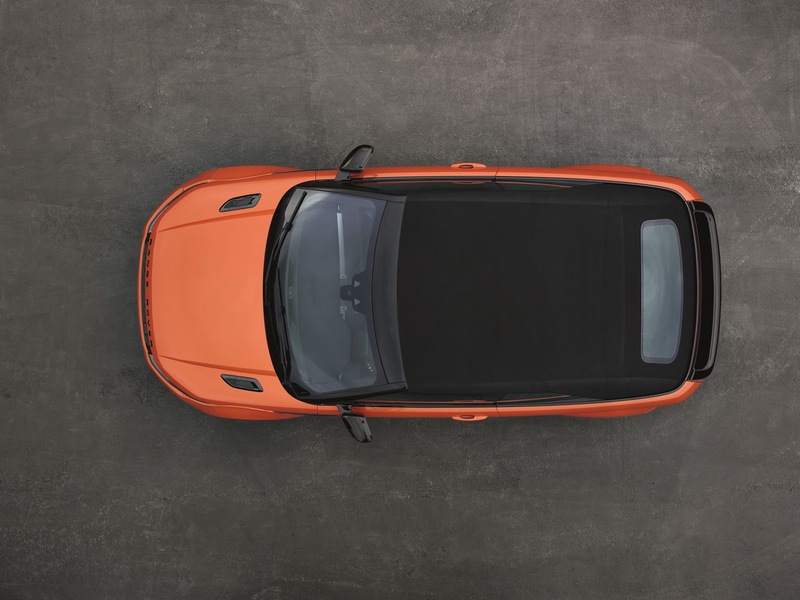 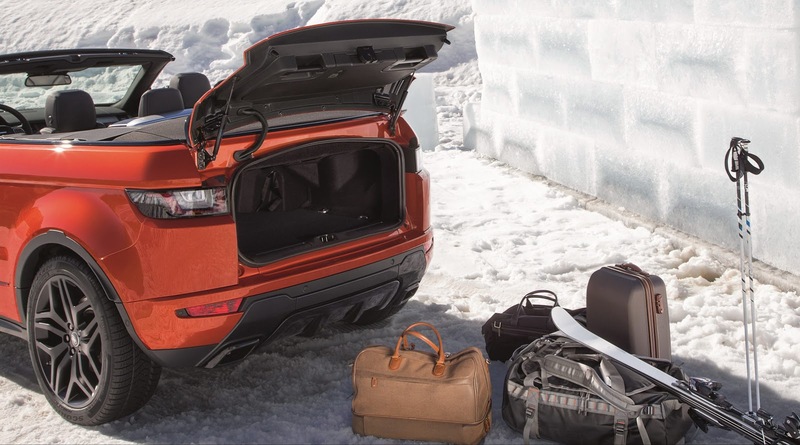 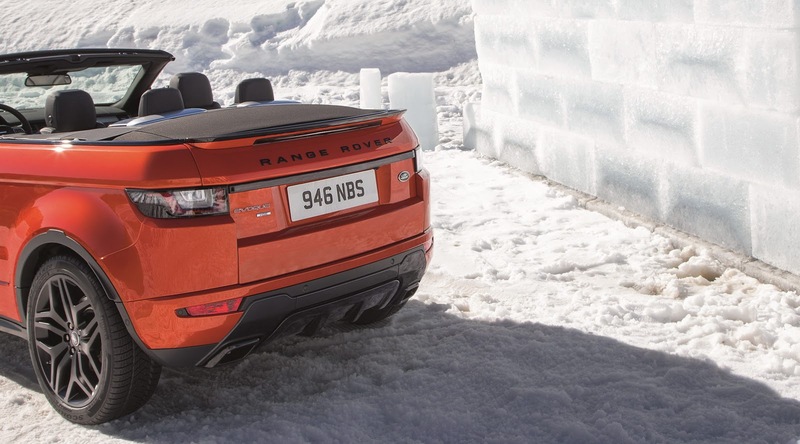 Based on Range Rover’s most successful model, the Evoque, the convertible swaps the regular three-door model’s fixed top for a fully-automated cloth roof that stows away in 18 seconds, and can be raised in 21 seconds, at speeds of up to 30mph or around 50km/h. 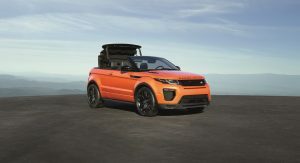 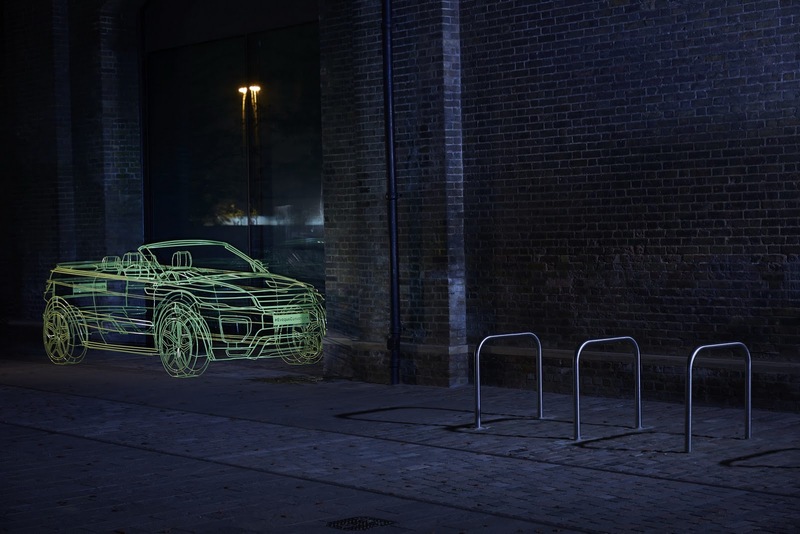 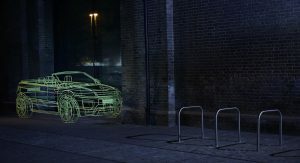 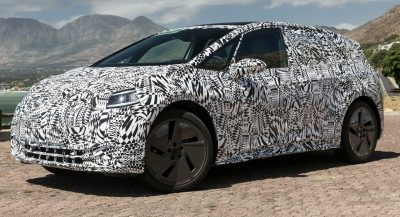 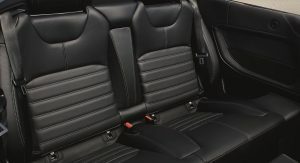 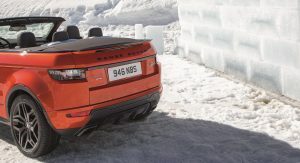 Due to structural changes including extra strengthening of the A-pillars and additional underbody bracing, not to mention the added weight of the electric roof mechanism and the deployable roll-over bars hidden in the rear bodywork, the cloth topped Evoque is around 270 kg or 595 pounds heavier than the hardtop model. 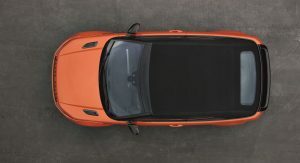 It’s also a bit longer. 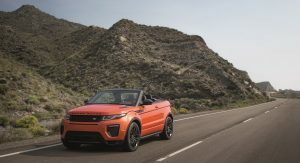 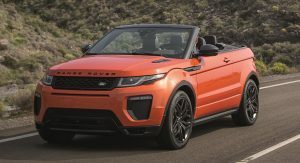 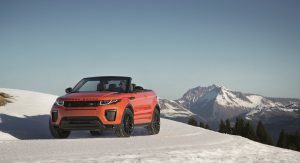 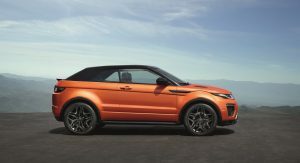 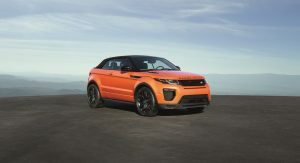 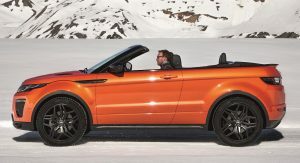 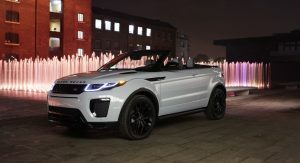 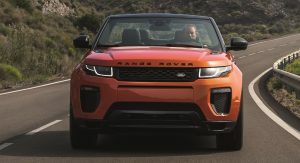 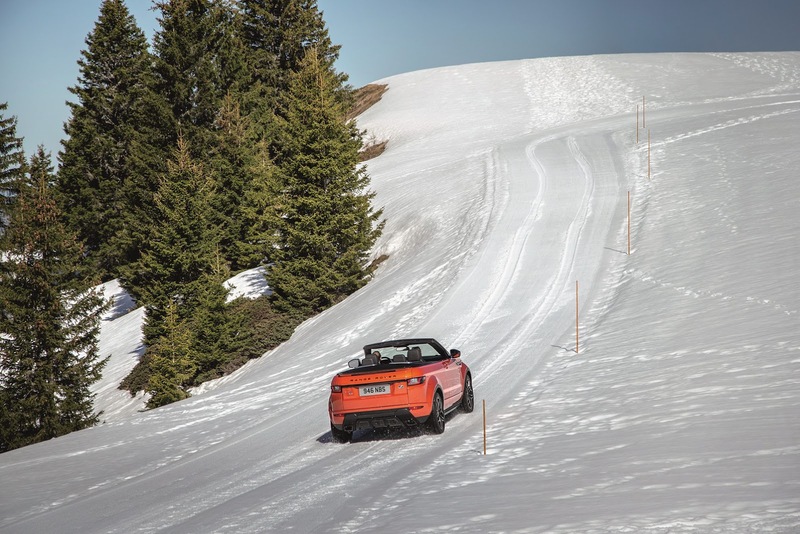 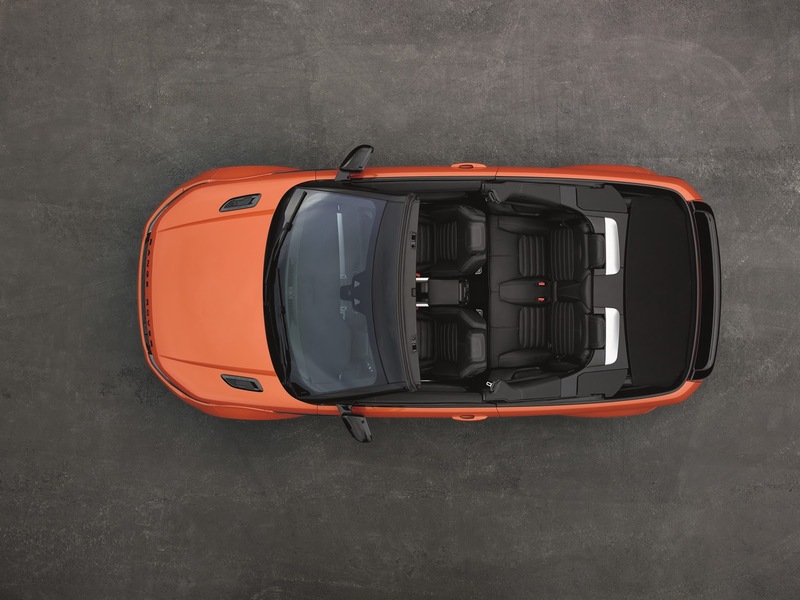 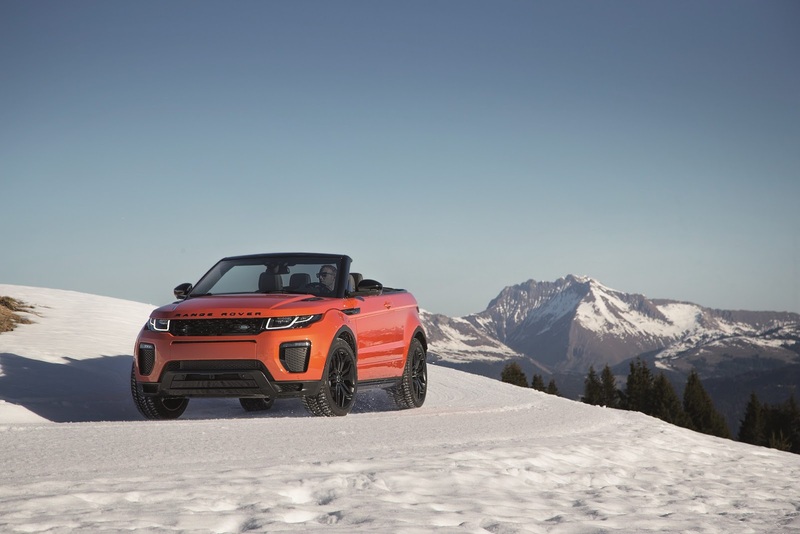 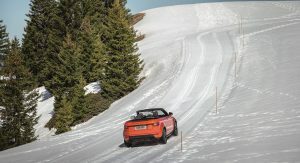 In North America, the Range Rover Evoque Convertible will be offered exclusively with a 240PS (237hp) 2.0-liter turbocharged gasoline four paired to a nine-speed automatic with standard all-wheel drive, while Europe will also get a 180PS (178hp) 2.0-liter TD4 Ingenium diesel that returns 55mpg UK (5.1 l/100km) and CO2 emissions as low as 149g/km. 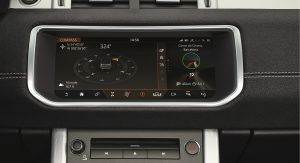 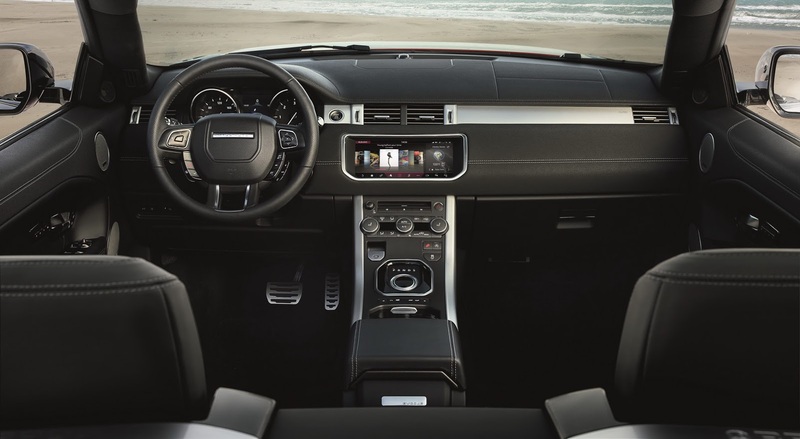 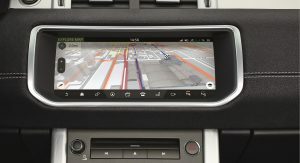 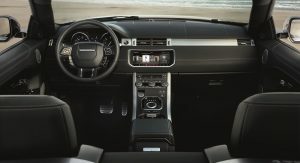 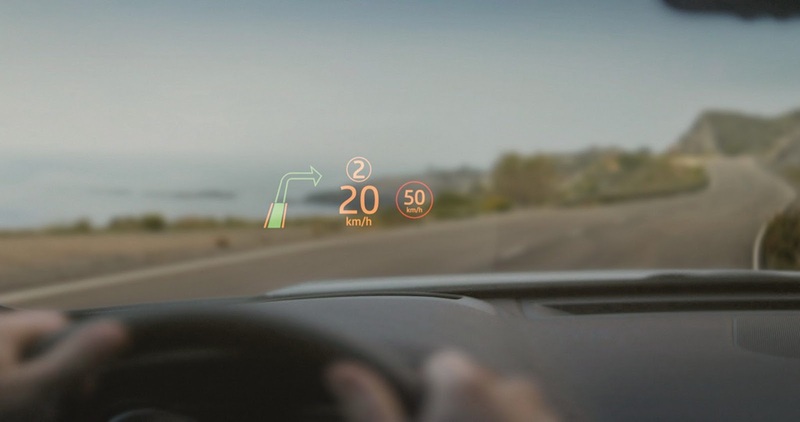 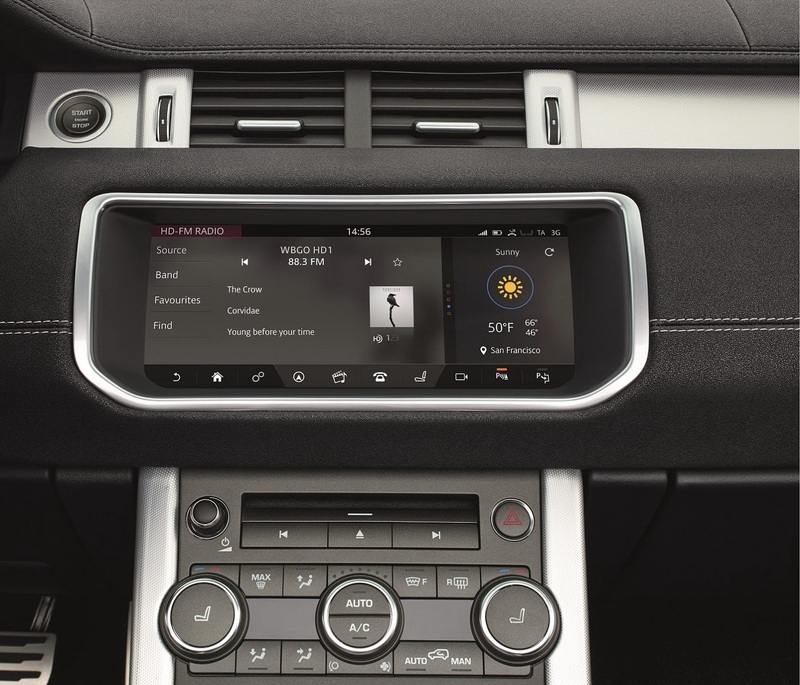 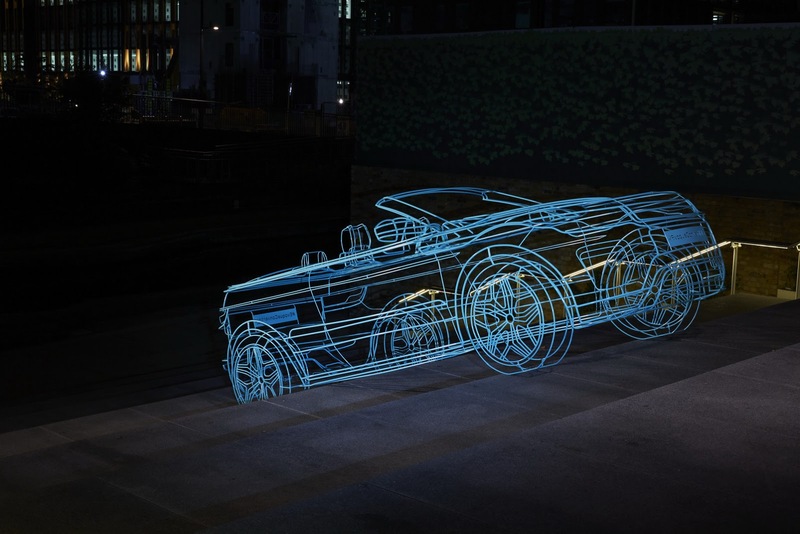 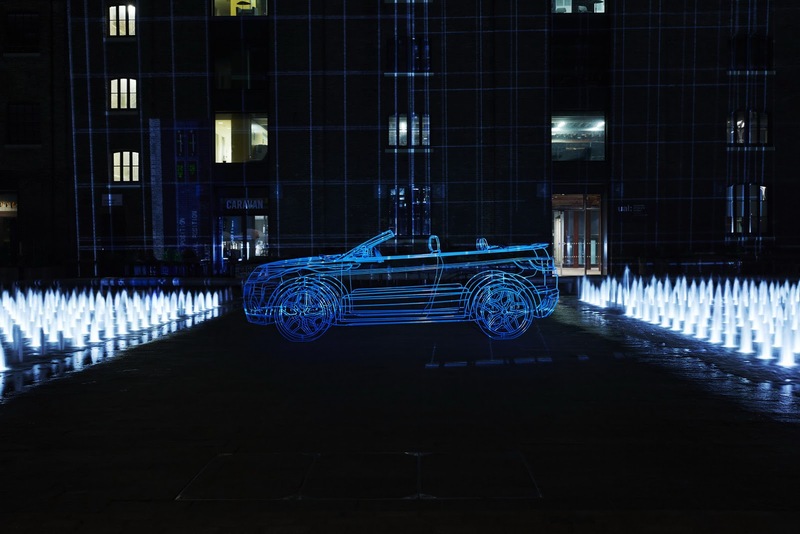 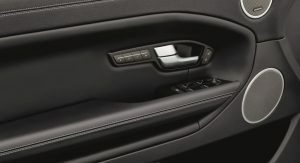 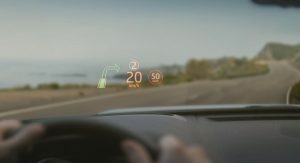 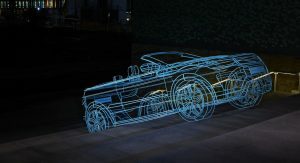 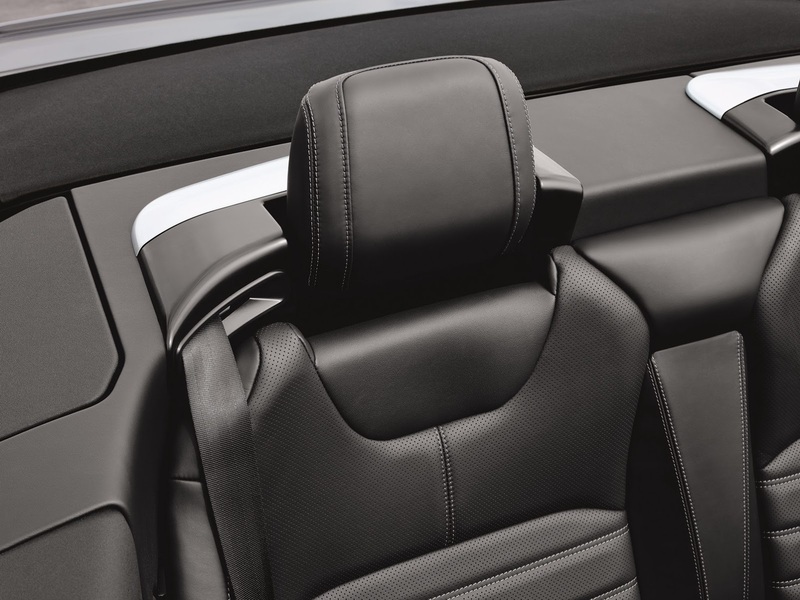 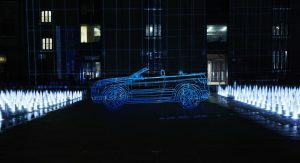 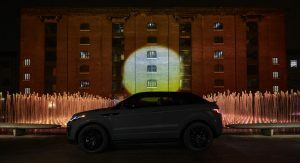 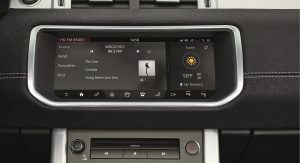 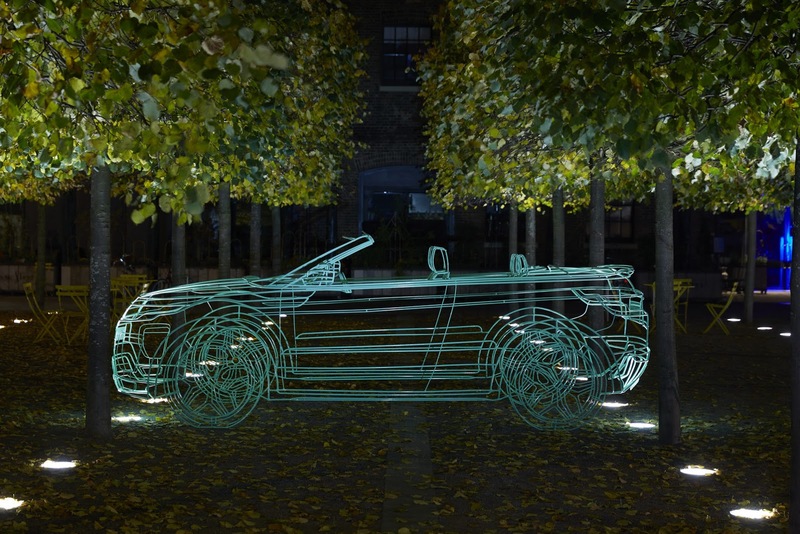 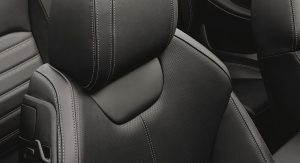 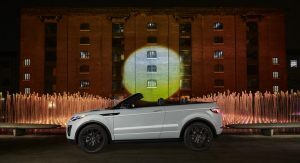 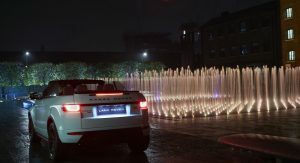 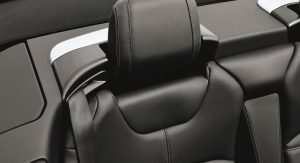 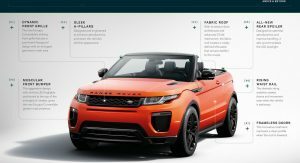 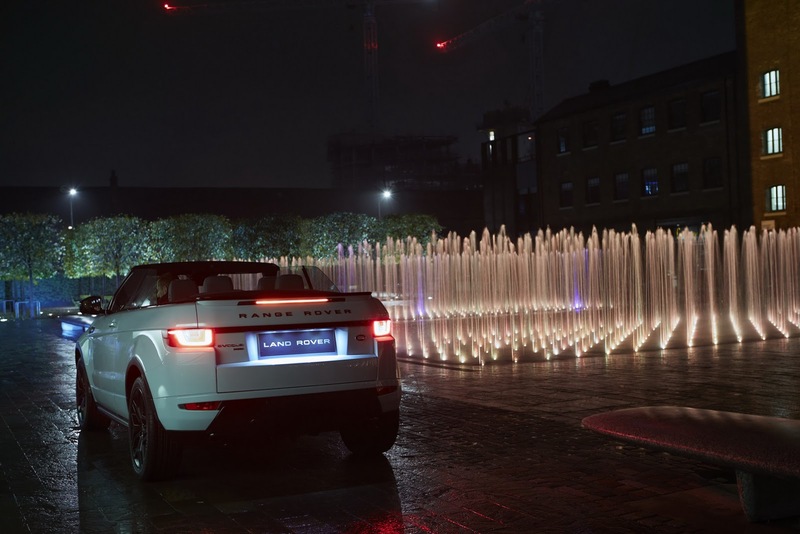 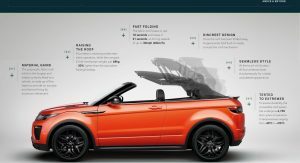 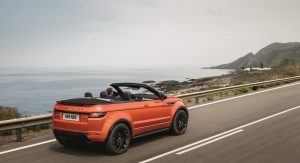 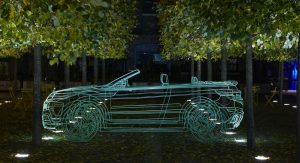 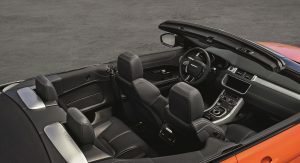 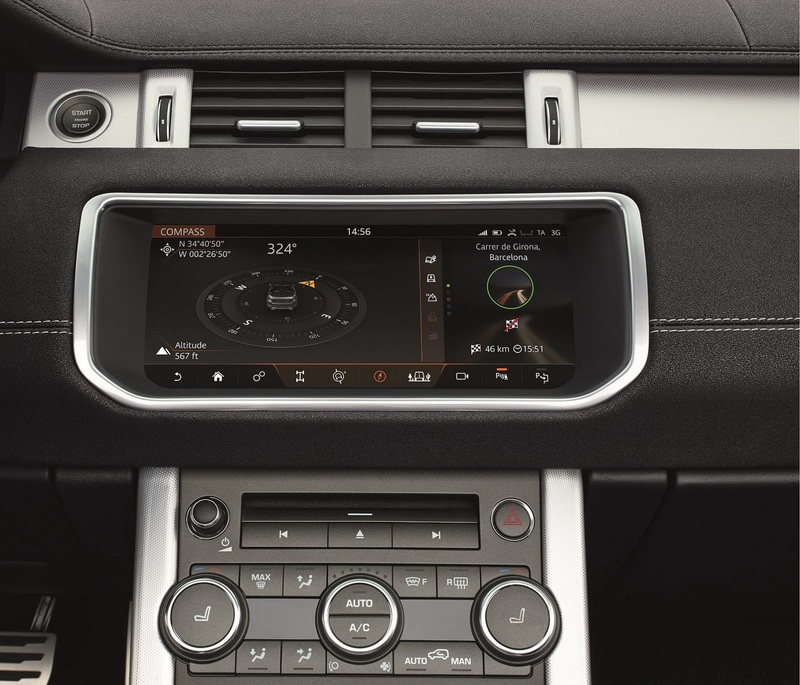 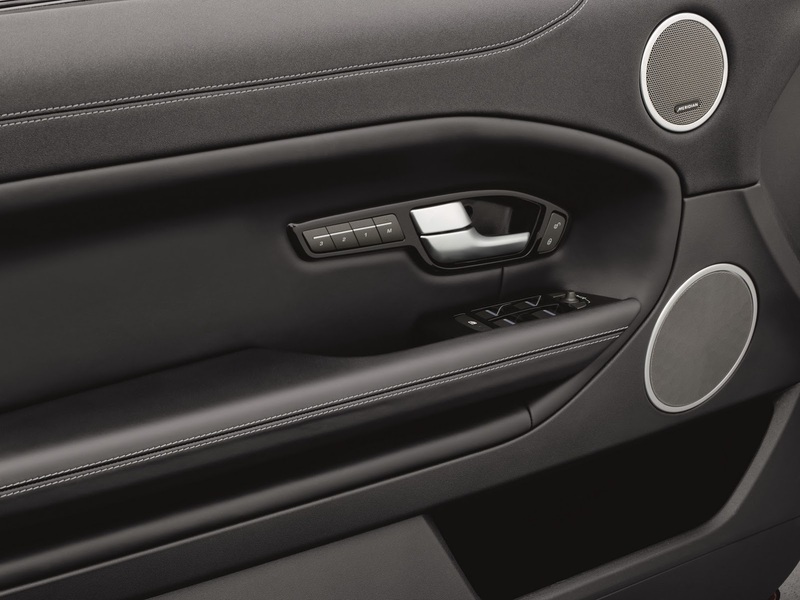 Land Rover is also using the Evoque Convertible to introduce their new high-resolution 10.2-inch touchscreen with Jaguar Land Rover’s next-generation infotainment system called ‘InControl Touch Pro’. 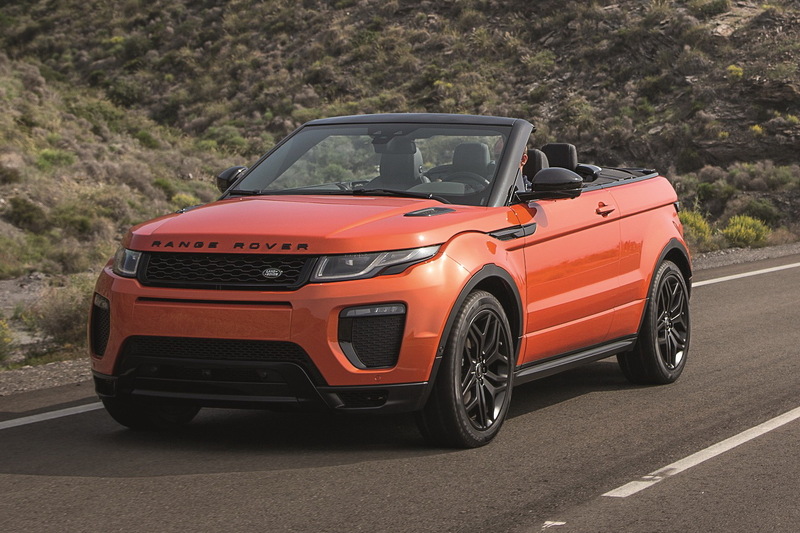 The Evoque Convertible will have its world debut at next week’s LA Auto Show prior to going on sale in the UK in spring of 2016 from £47,500 OTR for the TD4 HSE Dynamic derivative, and in the U.S. from mid-2016, priced at $50,475 excluding delivery.